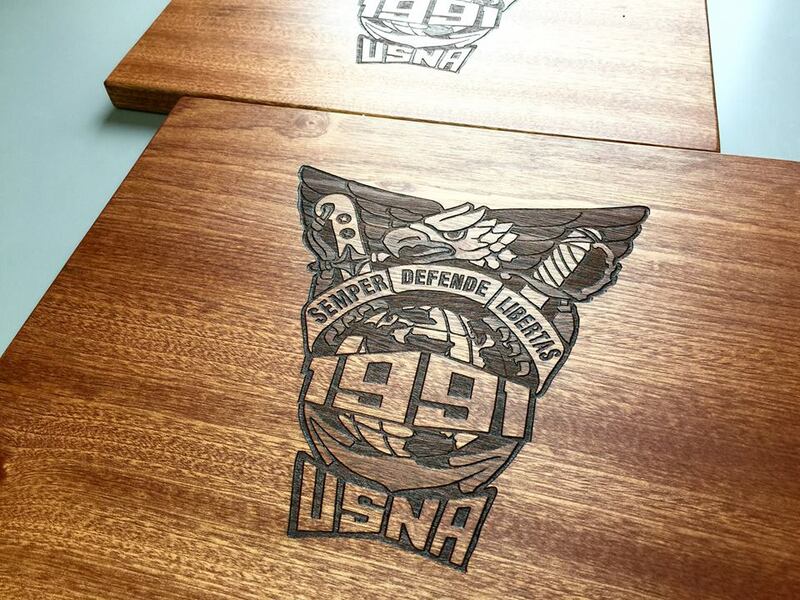 Expert craftsmanship makes our personalized engraved product ideal for any military gift. Enhance your selection dramatically by adding personalization for making a more sophisticated professional presentation. Personalizing each item creates a memorable keepsake that is sure to be treasured. 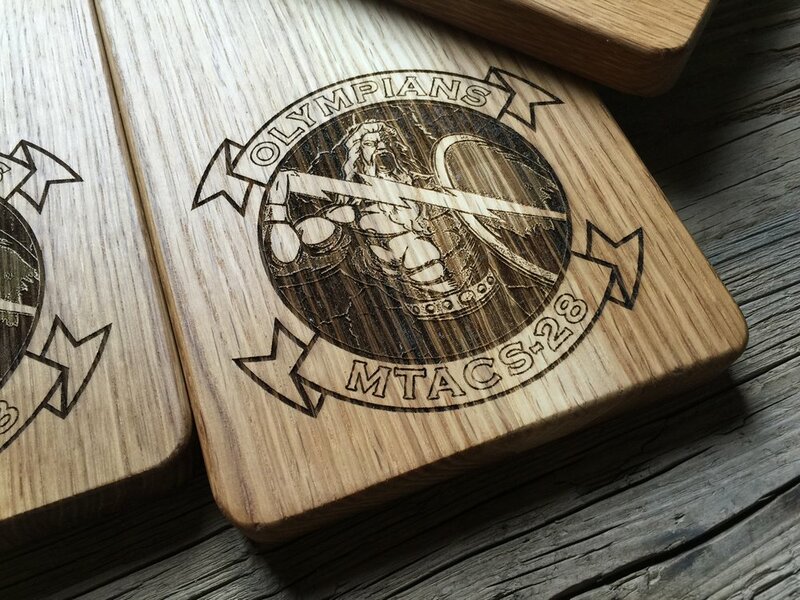 Engraved military products leave a distinct impression. 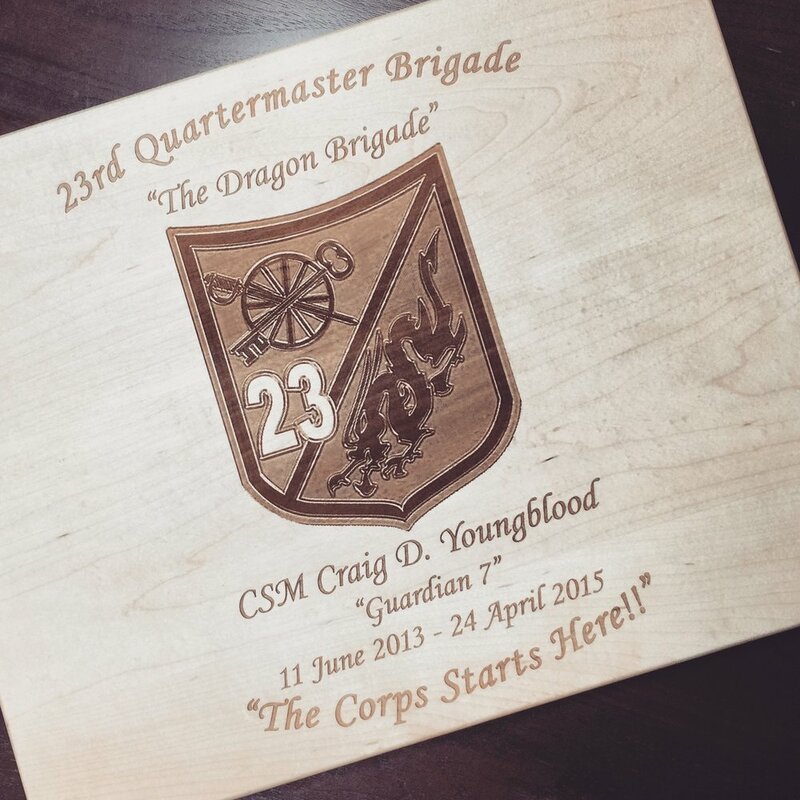 Our quality handcrafted products can be personalized or branded with your unit logo or crest. 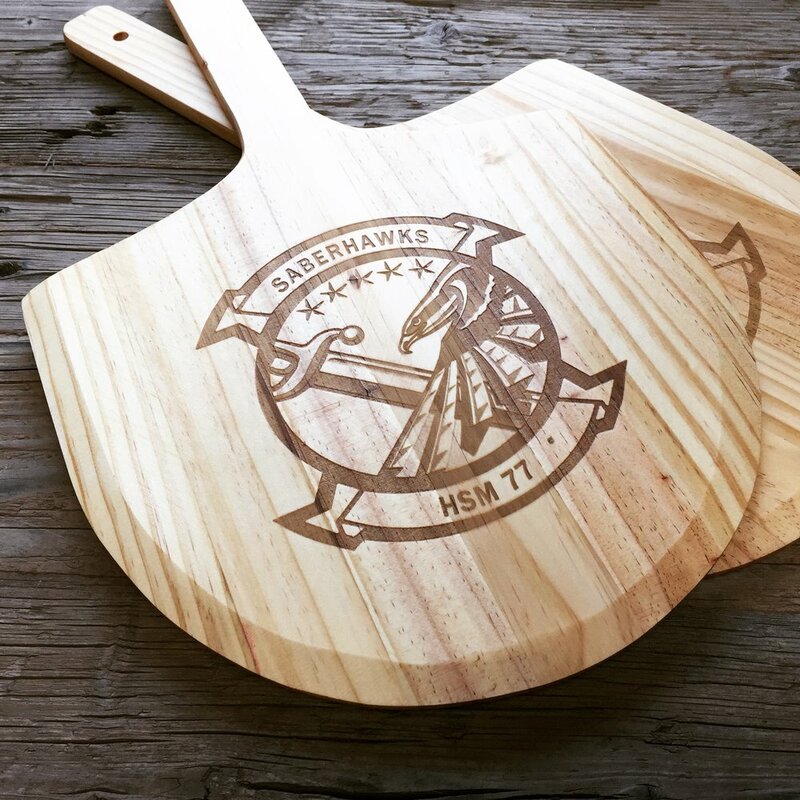 Whether you are looking for the perfect gift for someone serving in the military, for your military support unit, or for anyone who’s just proud to be an American; our custom products are the perfect item. 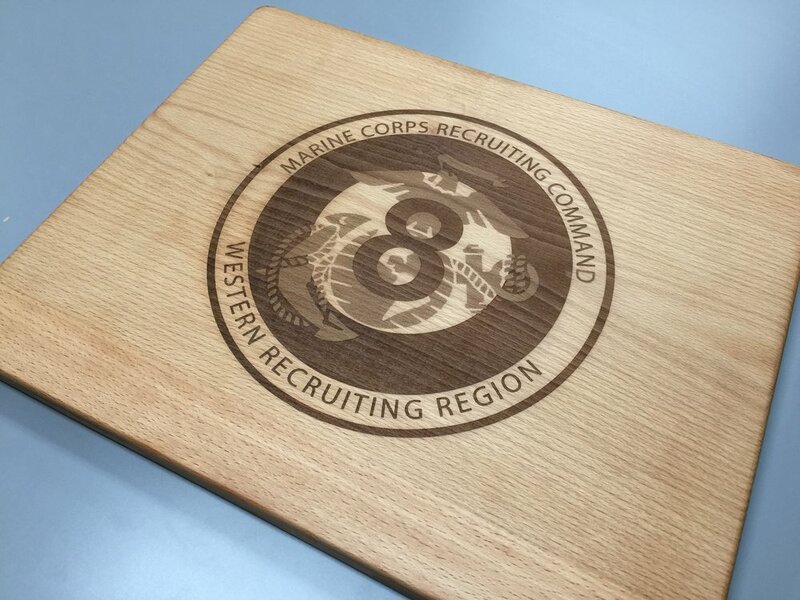 We will partner with you to create the stylish military gifts and appreciation items that will make a unique mark. Download your image and follow the ordering instructions using the link below. We do have an extensive military image catalog, so if you are unable to locate the image you want, contact us and we will see if we have it available. Use our military coupon code MIL10 for our standard 10% discount for active and retired military and their families. Looking at bulk discount for squadron gifts, or spouse gifts? 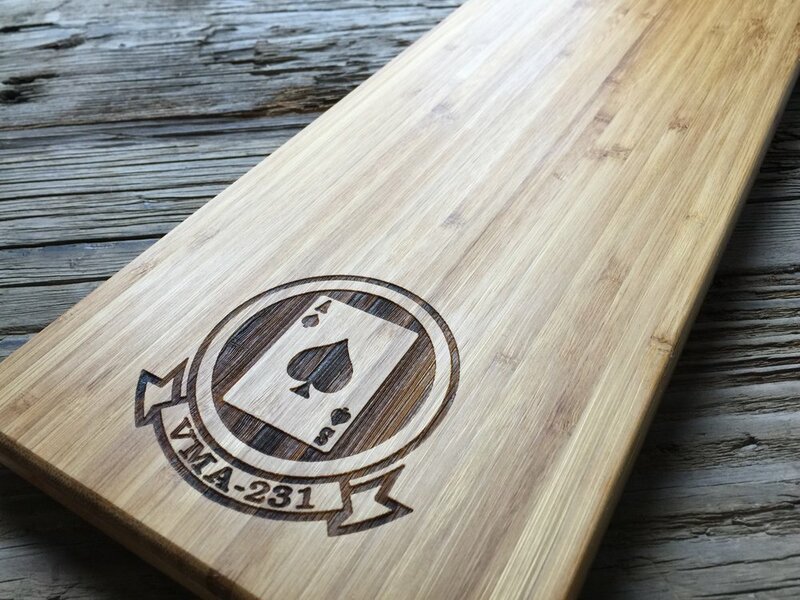 We have a Military Program and recently completed a large cutting board (450+) order for the 25 Reunion for the US Naval Academy.